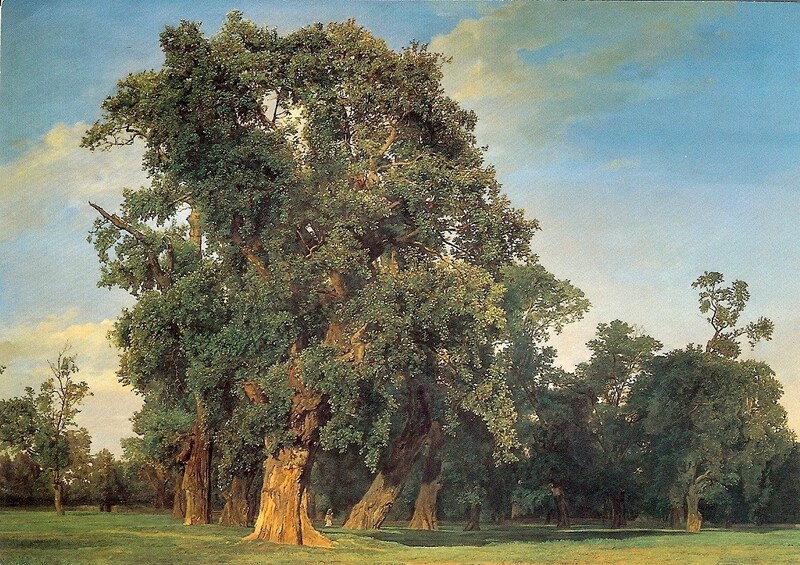 All of my recent reading about the English countryside has me in mind of grand old trees and lovely pastoral scenes. This particular landscape is not in England but it certainly could be. Previous Article Was Penelope Fitzgerald Sexist? It looks just like a photograph! Absolutely breath-taking. Molly: The postcard doesn't look as lifelike as the scan looks here. I guess my scanner doesn't pic up the painterly qualities as much. Elise: Can't you just imagine napping or reading under that tree? That is a beautiful painting. I am amazed at all the detail!